A new Taiwanese spot, offering desserts and bubble tea, has debuted in the neighborhood. The newcomer to Downtown San Jose, called Tea Alley, is located at 40 S. 1st St. This new Taiwanese-style cafe specializes in milk and flavored teas, frozen slush drinks, snacks and more. If you're going the tea route, expect to see offerings such as jasmine green tea, winter melon with tapioca pearls or matcha and red bean milk tea. For snacks, there are items like popcorn chicken, pizza dumplings and fried calamari. Rounding things out are desserts like fried crunchy milk and fried ice cream. Tea Alley has already attracted fans thus far, with a 4.5-star rating out of nine reviews on Yelp. Lyna F., who was among the first Yelpers to review the new spot on March 5th, said: "Got tired of drinking at my same old tea place, so I found this on Yelp and gave it a shot. If you like milk teas with actual tea flavors and not an overwhelming amount of sweetness, this should be your new go to." Yelper Beatrice C. added: "This place is the most amazing tea shop I've been in the Bay Area! I got the hot Tea Alley Milk Tea, and it is so so good! Well decorated, very friendly cashier!" 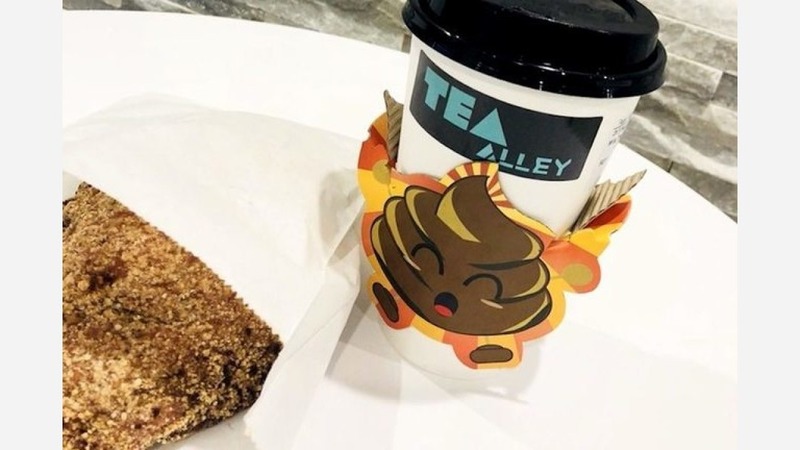 Head on over to check it out: Tea Alley is open Monday-Thursday from noon-midnight, Friday and Saturday from noon-2am, and Sunday from noon-11pm.